I realized that it’s not always easy to commit to spending a large sum of money all at once. In fact, it’s often painful and inflicting pain is something that I never want to do. So rather than offer a “pre-paid package of 6 facials” where you pre-pay for five facials, but actually get six . 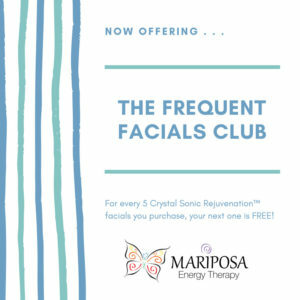 . . I’m now offering The Frequent Facial Club. This does not require you to pay upfront for all five facials. We just keep track of your visits and for every five facials you receive, you’ll get your next one completely FREE. How’s that for a great deal? Why not treat yourself to one today? You’ll be that much closer to your free one! 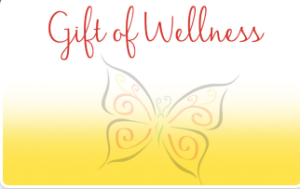 For more information on the Crystal Sonic Rejunvenation™ Facials, please click the button below. 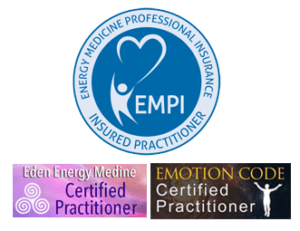 The Art of Energy Healing Why Do I Have Chronic Neck Pain?